As with much of its history the academic library is at a crossroads. The exploding budgets for journal subscriptions which are necessary to the living and breathing research institution is slowly strangling libraries. This, of course, is obvious and much maligned and talked about. Getting back to the perceived roots of librarianship and the values of intellectual and learning freedom is an increase in open access publishing and learning in the minds of our left-leaning colleagues. The narrative has been pretty simple; open access moves the dissemination of information away from large corporate publishers and into the hands of “radical” faculty members who use their clout and expertise to provide information for the masses. Gold open access (journals which publish fully open with little or no strings attached) is hardly the norm, and is outpaced in all metrics by Green open access (the self-archiving of pre or post print versions from non-open access journals). Gargouri, Larivière, Gingras, Carr, and Harnad (2010) found that unsurprisingly that subscription-based journals dominated STEM fields for publications, and only about 21% of their articles were available by green open access means. At the time of their study, only ~3% of publications were fully open access, evidence suggests this number has grown but not by much. While this number has surely grown in many fields, currently OA is dominated by Green and the dreaded hybrid journals. Oftentimes, green OA is only possible with copyright strings that make it difficult for scholars to keep straight the versions, the citations, and the identifiers necessary to comply with author’s agreements. The burden is on the scholar to provide the necessary versions to libraries or other disciplinary repositories for the green model to work. While this can be seen as an open path set forth by the publishers, the hurdles and the arcane rules behind it makes the benevolence more of a blind eye. Some scholars I’ve spoken with do not want work viewed as “unfinished” or “unpolished” out on the internet, which is a far assumption to make. The “pre-print” especially because of its lack of peer-review and editing is very unappealing in some disciplines, while others, with long standing histories in open science have embraced it (looking at you Physics). On a practical side, how do we cite pre-prints and post-prints? I’m a librarian and I’m not actually sure the best action on that. When a journal owns the copyright on the very page numbers, how can I cite a passage I glean from an IR? 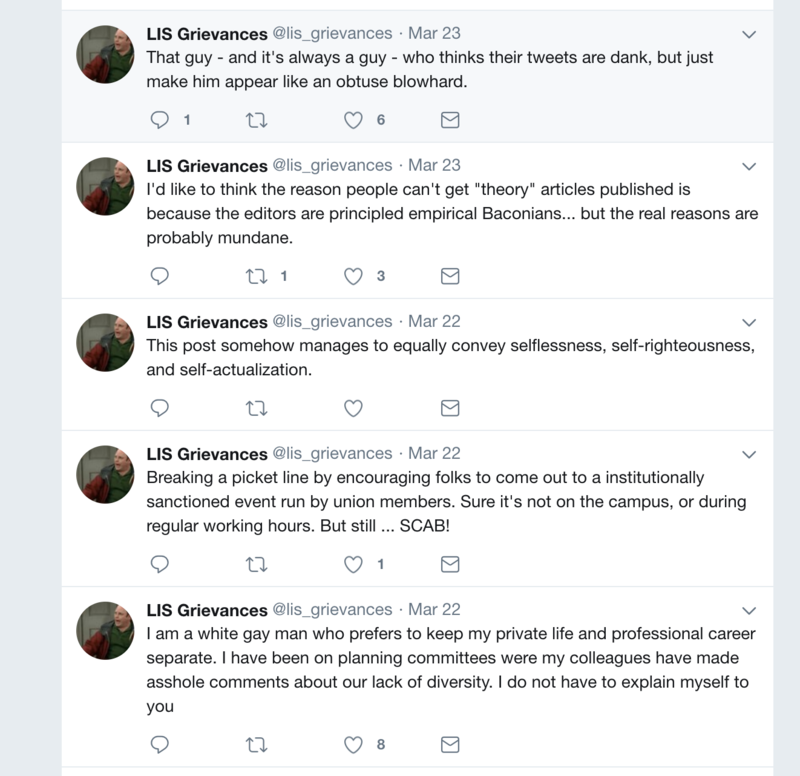 This has led me to often wonder whether green OA operates under the assumptions that overworked faculty and librarians will not follow through on the rules and therefore keep the article behind subscription walls. For many librarians, hybrid journals are seen as double dipping. Institutions are asked to provide extra money on top of growing subscription fees to make locked access articles fully open. APCs, the most common way to pay for these articles to be made open, range from a couple hundred dollars to upwards of $3000 depending on the field. For libraries chaffing under the threat of rising subscription fees this is not something many are willing to pay for no matter what our good intentions are to do. The elitist and competitive nature of publications and tenure requirements reinforce the need to publish in certain journals published expensively by certain publishers. The best journal in your field will allow you to have an open access version with rules that are complicated and impossible to understand or with the low price of several thousands of dollars make it gold open access for you. Wealthier scholars will soon pay the APC rather than jump through the hoops of green open access, if they know such a path even really exists. What we are left with is a system that is built to perpetuate the subscription crises without any real and easy solution to full open accessibility. We either pay for subscriptions, pay for APCs, or pay for both. International and national boycotts, like the ones striking Western Europe hurt the bottom line of publishers but harm faculty who need the journals to survive in this current scholarly climate. Pirate websites prey on our log in systems to provide “open” access to every published article but put our institutions, as well as researchers, at risk. While green avenues might be appealing, they are only the most common method of providing open access materials because of their inherently difficult nature. A journal wanting you to pay their hybrid fee would be happy to provide you with many hoops to jump through for a post-print. Relying on faculty to provide the correct versions is like relying on faculty respond to your Friday afternoon emails during the Summer; some will be pros at it but most will ignore you. For now, we wait with baited breadth for the benevolence of publishers like the cave children who could be saved by Elon Musk’s submarine. What We Know and What They Know: Scholarly Communication, Usability, and Un-Usability. How we talk about piracy with our patrons is an important topic for discussion, and places a tremendous amount of emphasis on the ethics of a for-profit publishing model. But it places librarians in a precarious situation defending publishing practices that build barriers to research. Lydia Thorn wrote an excellent piece about teaching professors and students about the importance of legal means of acquisition, pointing to an expectation of immediate access and declining library budgets as culprits in this explosion of piracy. Thorn suggests pointing to the ways in which piracy hurts small presses and not-for-profit publishers and how the library can and should fill these needs. She also suggests that we point to several open models that provide access to materials without the illegality of piracy. Switching gears slightly, it reminds me of the difficulties I have in working with faculty on online scholarly profiles. Because I administer DigitalCommons@USU, and its profiling system Selected Works, I am often confronted with faculty and students who use the for-profit academic profiling systems (I’m using this difficult phrase to talk about the systems that we all know but I’d rather not name) that are extremely popular across the world and across disciplines. What brings these two examples and issues together is the way in which we, as librarians, promote ourselves as experts in this realm and how, in a lot of ways, our strategies for promoting our services fall flat. Faculty are not cynical monsters who actively search for ways to be “anti-library,” but make rational choices that fit what they need. They aren’t very often knowledgeable about the inner working of collection development or the serials crisis but they are knowledgeable about what they need right now in their academic careers. I explain to my faculty, much like Thorn suggests, that the for-profit profiling systems are sometimes deceptive, corporate, and, often times, include illegal materials. While the illegality of the for-profit profiles often reaches faculty, who want to avoid any legal entanglements, the prevalence of these systems does not seem to be waning. The library’s 100% legal version pales in popularity in comparison to the others, who are often much more popular in certain fields. Who am I to tell professors not to choose these options in academic areas where for-profit profiles are more valuable than the library’s resources? Despite my feelings to the contrary, sometimes the for-profit profiles fit certain scholars well. This brings me back to the issues surrounding SciHub and #Icanhazpdf. The important thing to remember about our users is that they spend much less time than we do worrying about these things. For them, the ease of use of a for-profit profile or a pirated pdf warehouse is an issue of access and not a preference towards profits or not-profits. While each choice we make as actors is political, I do not believe that our faculty who use these platforms are willfully ignorant or disloyal to their institutions, libraries, or librarians. They just want what they want, when they want it. When the film and television industries felt the crunch from piracy they invested in Netflix and created Hulu, and when the music industry faltered we got Spotify and other streaming platforms. Each of these systems allowed for the quick access to media that users stole to gain access to. Libraries should view SciHub and for-profit profiling systems not as a betrayal but as a call to change and action. If SciHub is easier to use than the library we cannot blame our users if they use it over our complicated systems. If the for-profit profiling systems are superior to the library administered in someways, perhaps that is what our faculty are looking for. We as librarians shouldn’t “teach” our patrons to adapt to our obtuse and oftentimes difficult systems but libraries should adapt to the needs of our patrons. I really do not want to be at odds with my colleagues who call for education on these issues, because education is needed on these issues. After all, we are in the business of education. Yet, I believe that, in some ways, we should respect our faculty for what they do know. They know that they need resources to do their job. They should know that the library is often the best source for these resources. They also know that there are some platforms that provide easier access to these materials. I do not begrudge faculty who seek easier paths towards the resources they need to do their jobs, as much as I don’t begrudge undergraduates (or librarians) who use Wikipedia as a first source of quick info. It is a symptom of the age of easy access to materials online, and it is something that we as librarians should learn about what our scholars are looking for. The second part of this is adpatation. We should not only respect our patron’s decision making processes but we should listen when faculty seek sleazier means towards library services, and adapt to this need. If the for-profit profiles do something that my profiles don’t, I should think about ways to build my system to reflect those needs. If access to materials needs to be quicker than three clicks through our system, we should work to make it easier to gain legal access to materials. We shouldn’t claim that we know more than they do just because we deal with our obtuse systems on the daily, we should adapt to their needs when they arise. Author Dylan BurnsPosted on December 8, 2017 Categories Information Ethics, Open Access, Scholarly Communications, Technology Issues, Top Issues, Uncategorized, UXTags #ICanHazPDF, Profiles, SciHub, usability3 Comments on What We Know and What They Know: Scholarly Communication, Usability, and Un-Usability.